The Dutch cabinet is planning to introduce a €7 tax charge on all air tickets, government sources have told RTL Nieuws. Ministers had earlier considered introducing a €3.80 tax charge on European flights and €22 for intercontinental flights but that plan has been dismissed for being too complicated, RTL said on Friday. Tax minister Menno Snel said earlier he considered it odd that flying is tax free, considering train, car and bus travel are taxed. The government hopes the introduction of a tax on flying will encourage people to use more environmentally friendly alternatives. The proposal has now been sent to the Council of State for its recommendations and if all goes according to plan, the tax will be introduced in 2021, RTL said. Ministers would prefer the introduction of a Europe-wide tax on flying and if that becomes a reality, the Dutch tax plan will be dropped. 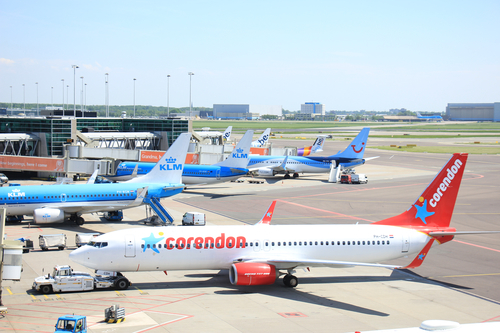 The Netherlands first introduced a tax on flying in July 2008 but the airline industry soon said it had encouraged Dutch passengers to use cheaper airports in Germany and Belgium and it was abolished a year later. That flight tax added €11.25 to flights up to 2,500 km and €45 for longer journeys. The new plan also involves the introduction of higher tariffs for noisy and polluting cargo planes.